The incidence of concussion in professional direct-contact sports, particularly in rugby, has increased in recent years. To date, cognitive assessment is the most common means of determining whether a concussed player can return to the game. Serum S100B assay, an objective blood test known to be useful in brain injury management, may offer a novel additional approach to the management of concussed male rugby players. 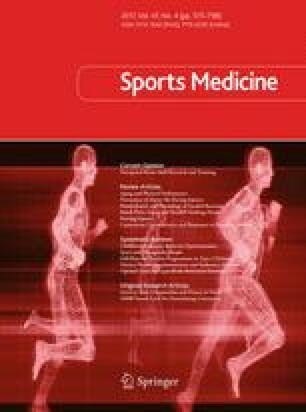 The aim of this study was to investigate the S100B utility for the determination of concussion in a professional 15-players-a-side rugby team. Thirty-nine male rugby players were included in a prospective study during the 2014–2015 French championship season. Serum sampling was carried out several times at baseline and after a match and/or a concussion, at set times (2, 36 h). Serum S100B concentrations were determined using chemiluminescence immunoassay on a Roche Diagnostics® instrument. The players’ basal serum S100B was stable during the season and was not correlated with anthropometric data, body composition, or creatine kinase concentration. A significant increase in S100B concentration within 2 h after a game (without concussion) was observed. This increase was correlated with the number of body collisions during a match. Seventy-seven assays were performed 36 h after a game, including the follow-up of five concussed players. Thirty-six hours after a match, an increase of a minimum of 20 % compared with individual basal concentrations identified concussion with 100 % sensitivity and 81 % specificity. S100B measured 36 h after a match is thus a discriminating test to identify concussion in a male rugby player, with a 100 % negative predictive value. This article is part of the Topical Collection on Rugby Health. The authors would like to thank the biologists of Genbio® Laboratory for their help in blood sampling for the S100B basal determination taken on three occasions; and the Auvergne Traduction Technique (ATT) society for proofreading and editing this manuscript. Damien Bouvier, Thomas Duret, Thibault Stiernon, Bruno Pereira, Mathieu Abbot, Aurélien Coste, Jean Chazal, and Vincent Sapin declare that they have no conflicts of interest.